Valley Lodge & Spa is a multi award-winning four-star country hotel. It is surrounded by a nature reserve, interlaced by pristine river and streams. This provides a home to indigenous vegetation and prolific bird life. Our hotel in Magaliesburg is scenically situated on the banks of the Magalies River. It is just an hour from the cities of Gauteng, Pretoria, and Johannesburg. 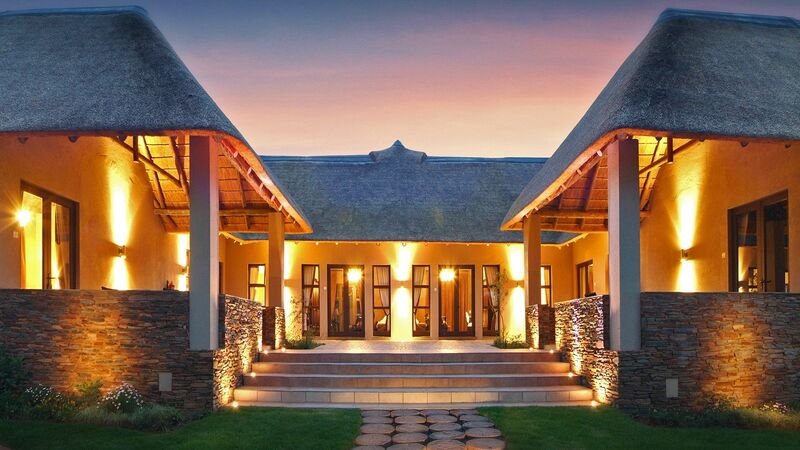 Valley Lodge offers superior accommodation in a majestic and indigenous garden setting. It is an ideal country escape from the city life, made for reconnecting with nature or enjoying a romantic weekend. Its location near the city makes our lodge the perfect choice for conferences, special events, and business meetings. The established retreat’s elegant and well-appointed rooms are complemented by delicious cuisine and warm hospitality. An added advantage for visitors is our hotel’s proximity to major attractions in the historic region. These include the Cradle of Humankind World Heritage Site and the world-renowned Sterkfontein Caves. The hotel received four Platinum (Accommodation, Dinning, Conferencing & Spa) and one Gold Award (Spa Best Experience). There is also a Floating Trophy for Best Accommodation in the 8th West Rand Tourism Awards. In 2016, the West Rand placed Valley Lodge on their ‘Wall of Fame’ for the four Platinum awards. Valley Lodge & Spa’s Food & Beverage team, has been privileged to receive Platinum status in the 2016 Diners Club International Wine List Awards. Enjoy a sumptuous full English breakfast with your accommodation! Country comfort with a dash of sophistication. This is what you can expect from our individually furnished rooms and suites. Enjoy the thrill of having your own sitting area and private patio that lead to the lawns and gardens. This is perfect for guests who are always looking for total comfort in a supremely elegant setting. We are well-equipped to give guests the few hours or days of oblivion that they deserve during their stay. Soothing the aches and pains of daily life is our specialty. Our world-class spa is designed to provide a health and wellness experience like no other. We have dining facilities that cater to English pub evenings and dinner under the stars. Our fully stocked cellar is sure to satisfy the wine connoisseur. We have a tennis court, gym, and swimming pool for those who are looking for physical recreation. Conference rooms are available for those who like to mix business with pleasure. Valley Lodge & Spa is surrounded by a nature reserve on extensive grounds, which houses everything you need for a de-stressing and memorable stay. Convenience is also one of our advantages, given our proximity to tourist spots such as the Cradle of Humankind World Heritage Site and the Sterkfontein Caves. Gauteng’s major cities are just a short drive away from Valley Lodge & Spa, making business and leisure more accessible for our guests.